Low Pay Rates are Costing Your Business. Here's What to Do. On the surface, offering lower pay rates is an effective cost-saving measure. After all, personnel salaries take up a lot of any company’s budget, often making it one of the first budget lines to reduce. However, in the long run, you rarely come out ahead. What could low pay rates cost your business in the long run? If your pay rates are low, you can expect vacancies to take longer to fill and your retention rates to suffer. Additionally, you may incur more in recruitment and hiring cost as a result of turnover and the time required to find suitable candidates for open positions. When a job sits vacant, your company is either losing money from uncompleted work or losing morale from other employees picking up the slack. Without a person occupying the position, productivity suffers, so you may not be able to provide the ideal level of service or meet production standard until you find a suitable candidate. When you advertise an accounting or tech position with a pay rate that doesn’t match up to the competition, it is going to take more time to find a candidate who has the skills and experiences required to excel in the role. Most of the best and brightest professionals aren’t going to accept a job that doesn’t come with a competitive salary, so the viability of your talent pool is significantly diminished. If the salaries you’re offering don’t stack up with other businesses in your area, your retention rates are going to suffer. While pay is just one factor employees consider when they decide whether to stay in a role, it is always part of the equation. While you may be able to overcome a salary that is slightly below the norms by offsetting it with a more robust benefits package, a variety of perks, and a positive company culture, not everyone is going to overlook the fact that they can earn more elsewhere. And, if your pay rates are substantially below those offered by your competitors, there is very little you can do to overcome that gap. When an employee leaves, you usually have to secure a replacement. This means incurring all of the costs associated with advertising the vacancy, screening candidates, generating an offer, onboarding the new hire, and training your newest employee in the role. In cases where your retention rates are poor because of low wages, you are going to be faced with these recruitment and hiring costs more frequently and, in many cases, any savings you experienced by offering low pay are offset once these have to be addressed. For a number of reasons, low pay rates aren’t beneficial to your business. In many cases, they negatively impact your bottom line, resulting in a net loss. Are you interested in learning more about the power of offering competitive pay rates? Are you looking to work with a staffing company that knows your local market? 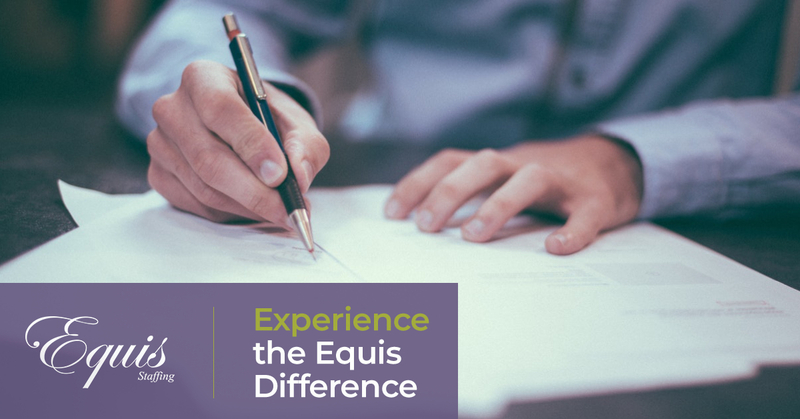 The professionals at Equis Staffing can help. Contact us to connect with our team and learn how we can help you fill open positions in the Los Angeles area and the Silicon Beach.